Women who deposed against BCCI CEO Rahul Johri were treated like fodder in this power struggle and became collateral damage. 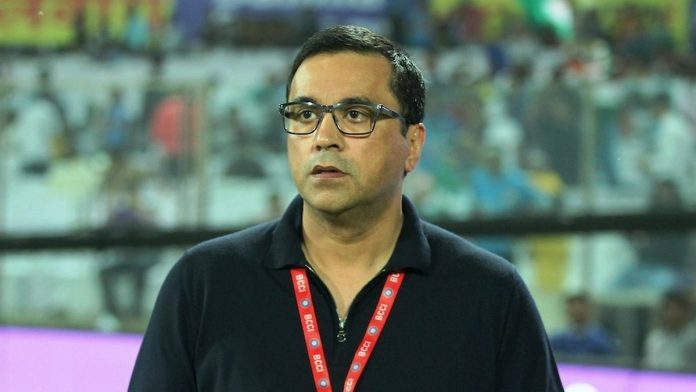 The BCCI’s response to the first formal investigation of inappropriate behaviour by a senior official – Rahul Johri, its first CEO – has been clumsy, shoddy and insensitive. The treatment of the two women who deposed before the board’s independent committee was particularly heavy-handed; the report circulated to the public gave the favourite Indian cricket TV catchphrase about drawing new audiences to cricket, “attracting women and children”, a thorough working-over and then tossed the idea into a bin. The investigation that followed the accusations was meant to indicate that due process was being observed by the chairman of the board’s Committee of Administrators, Vinod Rai, a career bureaucrat who knows his rule books and terms of reference well. The other member of the COA, Diana Edulji, disagreed vehemently with Rai at every step, but her opinion and recommendations were overruled, citing the need to adhere to process and law. The whole exercise, undertaken with correct protocol and procedure, was, however, pitted with mishaps and missteps, in deed, language and public perception. It is a case study, almost, for every corporation in the public eye as to how not to behave when attempting to follow the rule book in response to allegations of sexual harassment against their top brass. A possible case study also on how women in any industry find it hard to lodge any formal protest against powerful men in their business. The phrase “sexual harassment” that featured in a press release sent out on WhatsApp by the CoA to select journalists on October 13 was replaced by “allegations” in the official BCCI email that followed a few hours later. An independent committee to investigate the charges was appointed by Rai, but within a day, one of its members stepped down due to a conflict of interest (he was related to someone who worked in the BCCI’s legal department). Also, the first two assistants selected to help the independent committee on matters of logistics and administration happened to be Johri’s executive assistant and the head of the BCCI’s own internal anti-harassment committee, who, having just quit, was serving notice. They were later replaced. The independent investigation committee’s email to those wanting to depose about Johri’s conduct was criticised by women’s-rights lawyers for using language that was “uncalled for”, as it would “dissuade and discourage people from coming forward”. The extracts of the report that the BCCI chose to make available to the public quote two of the three committee members, Justice Rakesh Sharma and Barkha Singh, calling the allegations made by the two women complainants “false, baseless”. The charges, they said, had been “fabricated and manufactured with an ulterior motive to harm Mr Johri”. It then said no adverse action needed to be taken against Johri, “on the basis of these mischievous, false, fabricated, unsubstantiated complaints, emails, tweets etc on social media”. This sweeping, strident tone claims malicious intent on the part of the accusers, particularly the women deposing, to drive Johri out of his position, but without the full report being made public, it fails to establish that there is evidence to dismiss the complaints in this fashion. The report seeks to put the victims in this case into the dock of public disapproval, but without providing any external proof that their accusations are baseless, given that the report cannot be accessed by the public. Singh’s comments included the sombre observation that “such complaints will also have an adverse effect on the fight for equality for women”, and a suggestion that, “a grievance redressal committee/ cell” be set up in the BCCI. That committee already exists – it was created in May, following a February incident featuring Johri and a female BCCI employee, who remains on the BCCI’s rolls. The head of that committee quit just before the external committee investigating Johri was formed. Why should they not, instead, be looked at with misgivings, considering that the third member of the committee expressed a contrary opinion? The report quotes the third committee member, women’s-rights lawyer Veena Gowda, saying that Johri’s conduct as BCCI CEO on one occasion was “unprofessional and inappropriate”, which would “adversely affect” the board’s reputation. Gowda’s second recommendation said that keeping in mind a complaint made – an incident in Birmingham – and “with respect to photographs submitted”, it was essential that Johri undergo “gender sensitivity counselling/ training”. Given that the two other members called the allegations of the complainants “baseless, fabricated, manufactured”, did that mean Gowda’s contrary observations were also made with the same “ulterior motive” to harm the CEO? Why were they not dismissed the way the allegations of the two women who deposed were? Keeping in mind Gowda’s comments about unprofessional and inappropriate behaviour, Rai, as chairman of the CoA, said Gowda had “not found him [Johri] guilty of sexual harassment” and the inference from her recommendation was that while he did need counselling, there was, “no recommendation to take any other action against him”. Therefore, he said, “no adverse action was warranted” against Johri. An individual whose unprofessional and inappropriate conduct would adversely affect the BCCI’s reputation, and who requires gender-sensitisation counselling, will now attend international cricket meetings with the mandate to speak on behalf of Indian cricket’s stakeholders: the players, coaches, officials, ground staff, scorers, grass-roots workers, journalists, and millions of male and female fans. The morale in the rank and file of the BCCI has hit a low; at Cricket Centre, the BCCI’s headquarters in Mumbai, the word has gone out: keep your head down and mouth shut. The whole affair is marked by the air of a routine BCCI power tussle*: a political game involving two of the CoA’s familiar administrative adversaries, the current treasurer Anirudh Chaudhry and the whistleblower Aditya Verma. Rai and Edulji have been at loggerheads with Chaudhry over the implementation of the Lodha reforms. Verma, who had made public an earlier complaint by a female employee of the BCCI against Johri’s conduct, is party to a case currently being heard in the Supreme Court involving the Lodha recommendations. The women who deposed against Johri were treated like fodder in this power struggle and became collateral damage – like women often are in matters pertaining to the misbehaviours of men. Their depositions, with first-hand experiences relating to Johri, were lumped together with the information against him provided by Chaudhry and Verma in their testimonies. With a few words, made public without detail or proof, the two main accusers were turned into the accused. What became increasingly apparent as the case went on was the brazen tone-deafness to the sensitivity required of the matter from the BCCI’s highest offices. The onus must rest on Rai, who has publicly taken the lead all through the case, on occasion overriding Edulji’s opinion where it differed from his. During the course of the investigation, Johri was meant to be “on leave” but was essentially working from home. When the report was handed over to the CoA, a photograph went out on social media, as if to celebrate the signing of a multibillion-dollar contract. There was a cake waiting for Johri on his return to Cricket Centre. Within two days, an article endorsing him as a “thorough gentleman”, appeared in an online advertising magazine, Campaign India. The reinstatement of Johri notwithstanding, this celebratory tone from the highest offices of the board was completely out of sync with the prevailing environment following the various revelations relating to the #MeToo movement in India. Let them eat cake, the board seemed to say. The final, complete report – with the details of the allegations and the evidence provided – is now in the hands of only five people: Rai, Edulji, and the three committee members. The CoA head has told ESPNcricinfo he will not make it public unless specifically instructed to by the courts. That is perfectly legal but again, bad optics: to act only on a court’s order appears to deliberately limit the options available to the complainants in getting fair redressal. In almost 30 years as a sports journalist, I have dealt with, worked with, agreed with, argued with, praised and chastised the BCCI, its 14 presidents in that time, multiple secretaries, and other office bearers. It is an institution I have seen evolve and grow, get smart, get rich, get arrogant, get slick, do much wrong and many things right. Yet now, the manner in which the BCCI handled the complaints against Johri has left me feeling, for the first time, personally slighted and insulted as a woman. Indian cricket, which has given me a vocation and a livelihood, has now dealt me a kick in the gut. It came in the form of the email that went out to the women who wanted to depose, the photograph with the final report, the welcome cake for Johri, the language used in the report, the allegations the report makes against the women, the questioning of their motives, and the fact that the report cannot be seen by the main complainants unless someone goes to court. The message I get from the BCCI is this: Take that, you delusional women, we won. We won. We always win.